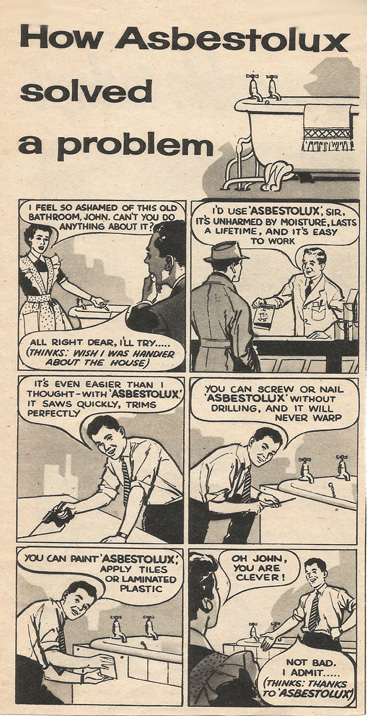 This advert from a 1950s 'Practical Householder' magazine shows its age in so many ways. Not only do we see the wife in her frilly apron and her hubby doing DIY wearing a shirt and tie (one must be properly dressed at all times! ), but the poor fool is sawing up asbestos board (without a mask) in order to HIDE a roll-top bath! Very interesting (and cool) ad, but it does make me wonder what wonderful things we have today are just grim timebombs waiting to explode when future people find out how bad they are for us. This is where I share all those strange things that make me go "But why...? ", "How?" or "Who on earth would...?". Objects from my collection of weird, kitsch and odd stuff. I am Kitsch and Curious Elsie. I collect things, I sell things, I make things. This blog is where I show you things.